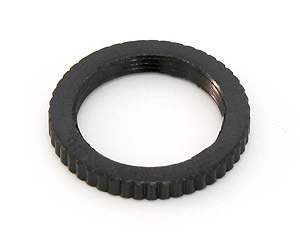 Image 1: M12x0.5 Lock Ring. 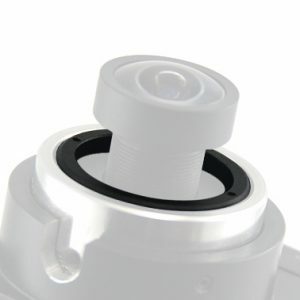 Image 2: Example combination of Lock Ring (red) and C-Mount – S-Mount Adapter on a C-Mount smart camera. 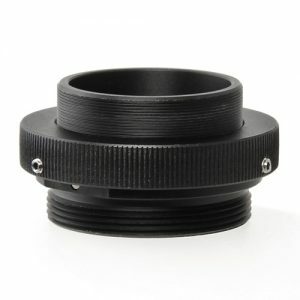 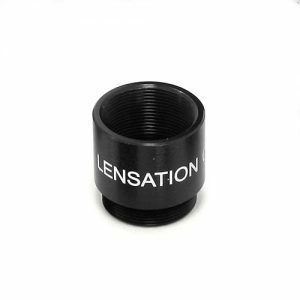 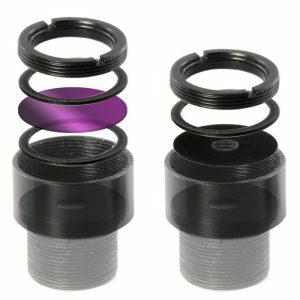 Black anodized aluminum lock ring for s-mount lenses, d=15.8mm, h=2mm, M12x0.5 female thread.